Robert Kiyosaki is one famous name in the industry of network marketing. He is best known for authoring the book Rich Dad Poor Dad which is the number 1 book of all time when it comes to personal finance. The book is quite popular by challenging and eventually changing the way many people think about the subject money. According to Robert Kiyosaki, it is because people gets discouraged so easily when they don’t make money in the first couple of months after joining a network marketing business. 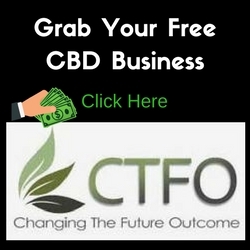 Most people join this type of business only to make money and when they can’t see money in the very near future, it becomes so easy for them to quit. Certainly, doing things for quick money is not the best reason to get into business, not even in network marketing. 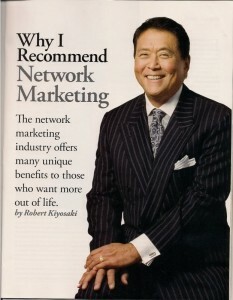 In line with that, Robert Kiyosaki explains the two essential reasons why you should join a network marketing business. The first reason why you should join a network marketing business should be to help yourself. This basically means that you want to change yourself, for example, from being an employee to self-employed. When you are already self-employed, you will be seeking the next change which is to be a business owner. After which, you will want to advance to the next change of being an investor. Your reason must be that you want to improve your standing and not simply remain an employee for the rest of your life. If you have an ambition for yourself, then you have what it takes to climb to the top of the network marketing business. The second reason would be to help others. This is possible if you genuinely want to help others improve themselves. Normally, the changes are very difficult because for most people money is the reason why they join this network marketing. But just like what Robert Kiyosaki realized, you have to realize as well that you cannot reach the top if money is the only thing that you care about. To truly reach the top, you must want to change yourself and the people around you more than you want money. This is because you cannot really make much money unless you help others change from employee and succeed to being self-employed or business owner. If you only focus on helping others, you will find that you yourself are tracking the path of success. Although in this business you might not get paid in months and years, Robert Kiyosaki says that to be successful you have to have a strong emotional intelligence coupled with excellent business skills. With these two, you are sure to begin to climb to the top of the network marketing business system. If you liked this post on Robert Kiyosaki Network Marketing share it!